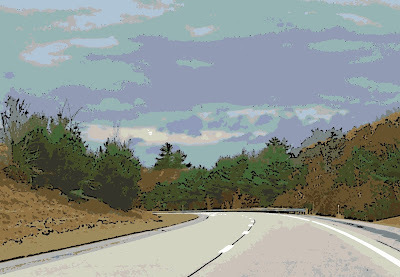 Here is one more version of my photo of the road to Vermont. For this one I used Painter to add a woodcut effect. I worked section by section to get the right amount of black and outline for each part of the image.